We found the skinniest house ever! I got to make a cake for Elder Browns Birthday. This week we had a really cool experience. By Thursday my foot was still hurting and I needed crutches to walk. 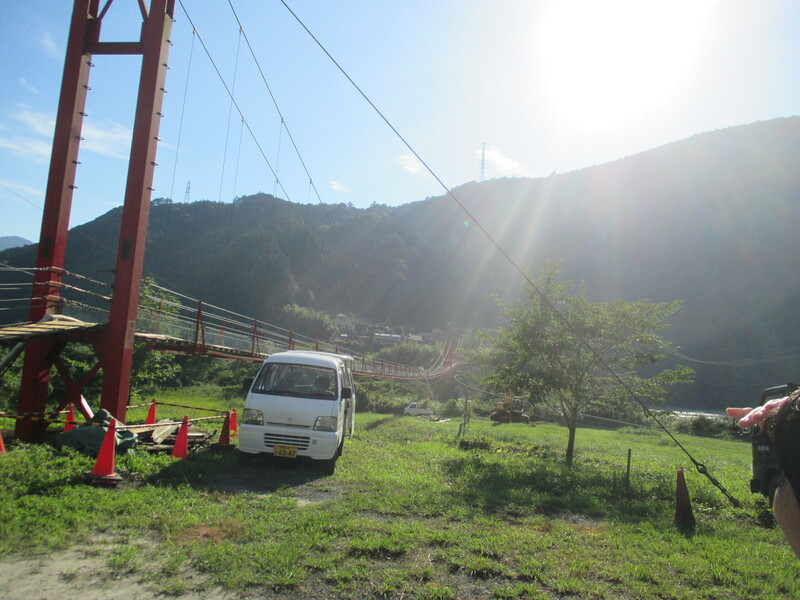 We had been trying to visit people by using the bus but it was really hard. We also had interviews with President Yamashita. After that we went to the doctor again. They decided to take an X-Ray again because it shouldn’t have been hurting still but, it looked fine. They did rehabilitation on it, which was putting Ultrasound Waves on it. It was really interesting. That night we decided to visit our investigator and go by bus. We got there fine and had a good lesson but when we were coming back we missed our bus stop. Then we tried to find a bus stop that would take us back home but it was really confusing. We were trying to find the 70 bus but all we saw was the 20 bus. We later found out that the 70 was called the 20 when it was coming back but we didn’t know that at the time. So we just walked home, it was about 1.5km, and I did it on crutches. When I got home I was so tired. The next morning when I woke up though, I could walk and even rode my bike! It was really amazing. I think that it was a miracle that I healed so quickly. It was because we showed our faith in still meeting with people even though it was hard. Since then we have been able to go about our normal activities. 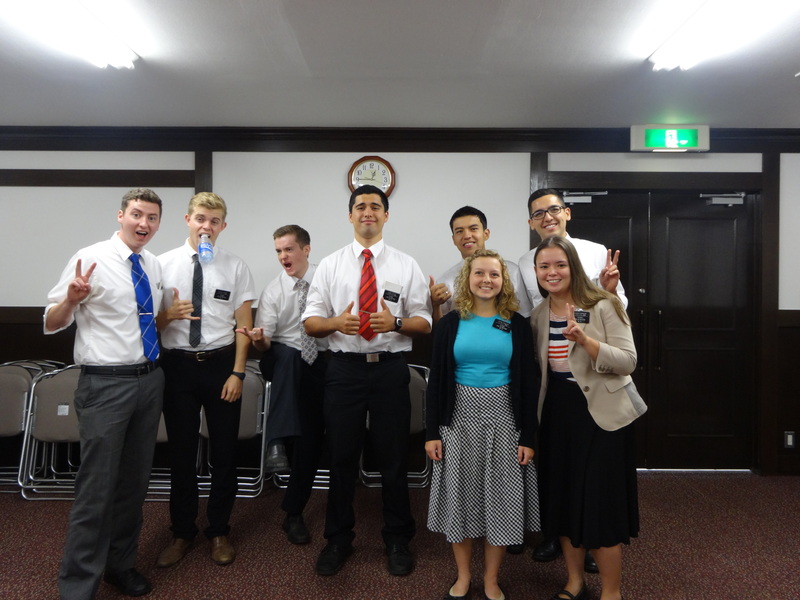 On Wednesday it was Elder Brown’s birthday. We went to a members house for dinner to celebrate. Because my foot was still hurt I had the chance to bake a cake and decorate it. It was really fun getting to decorate a cake again, it had been a long time since I had got to do that. The Birthday Cake I made for Elder Brown. This was how I got the bowl to the table.hahaha I wiped it out before I used it. On Friday we went and tried to visit our investigator but she wasn’t home. So we decided to go check out this giant park that was on the map. We saw that we would have to bike though a tunnel to get to the other side of the mountain that was in the way. It wasn’t very long but it was a sketchy tunnel! It was super random too. When we got to the other side we were just in the middle of nowhere! All that was around us was some random factories. The park wasn’t really a park it was just wilderness. 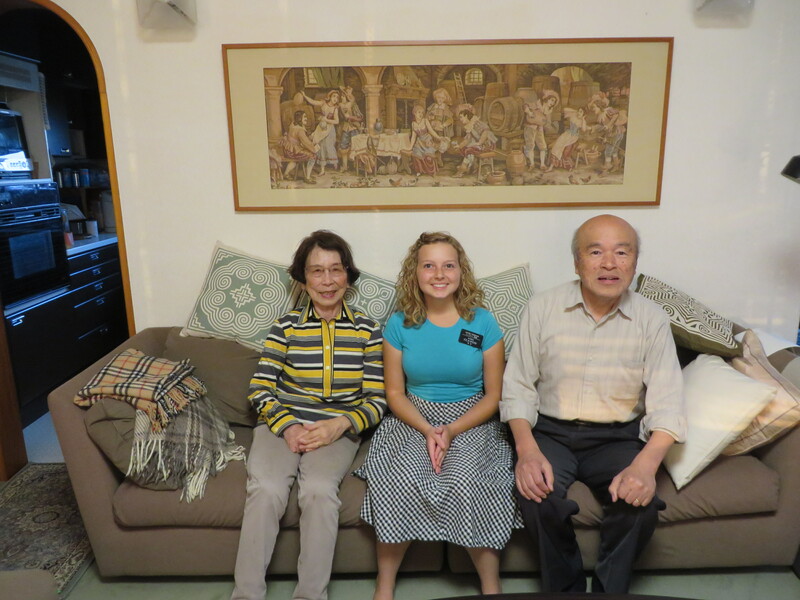 Elder Yamada wanted to try my crutches. The Typhoon was bad this morning but it is fine now. Not even raining anymore. The parking lot flooded from all the rain haha but it is draining now. We didn’t even get that much wind. Just rain. Water in parking lot, used to be more but it had started draining. They have really good candy here 🙂 You know what sister Papenfuss’s mom does? She orders things off of Amazon Japan and sends it using Prime. But Amazon Japan is in Japanese obviously, but if you could figure that out it would be less expensive to send I think. I had slept a little extra the next day but I am doing good now. My armpits aren’t sore anymore. This week has been really great! We have seen a lot of really cool things happen this week. On Tuesday we had Zone Conference! 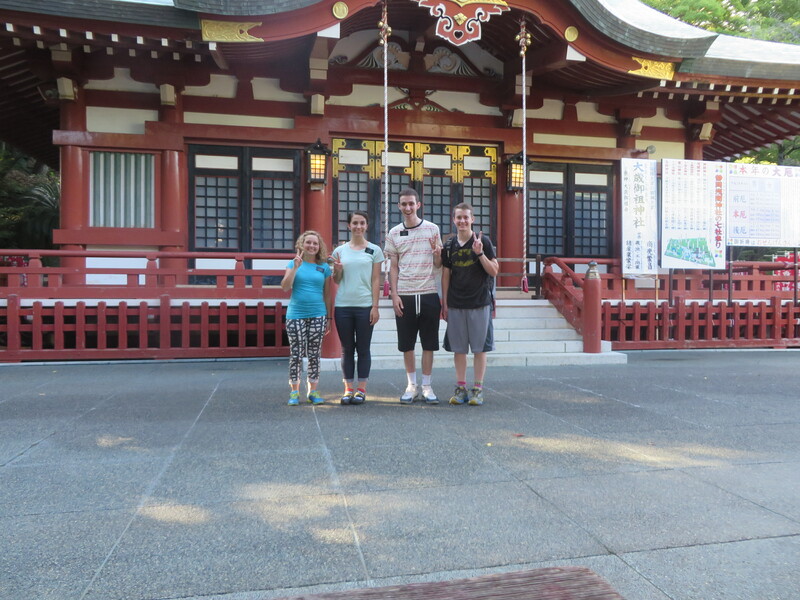 It was really cool to be taught by President Yamashita and the other leaders. We learned a lot about using the book “Power of Everyday Missionaries”. We are using this book to talk to members about member missionary book. 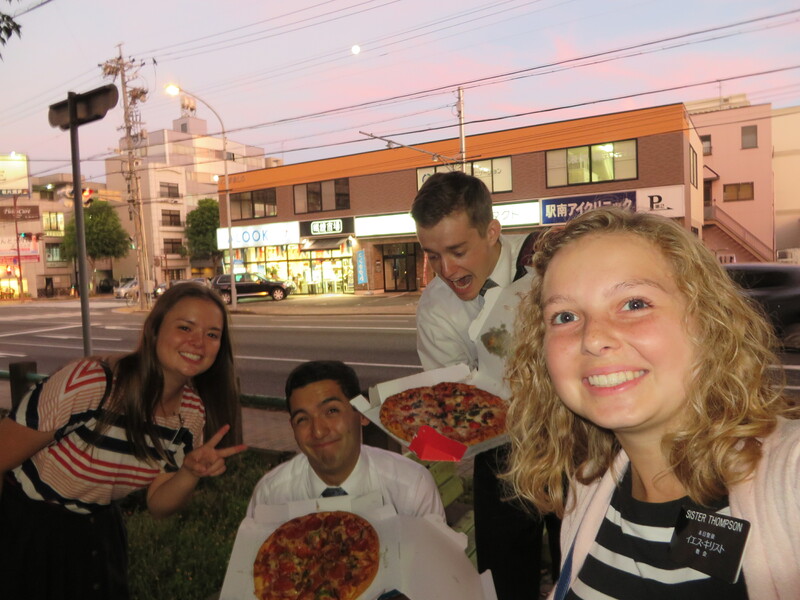 The book outlines how to do missionary work really simply as a member. We have started having “member investigators”, that means that we study out of the book and give them commitments just like an investigator. 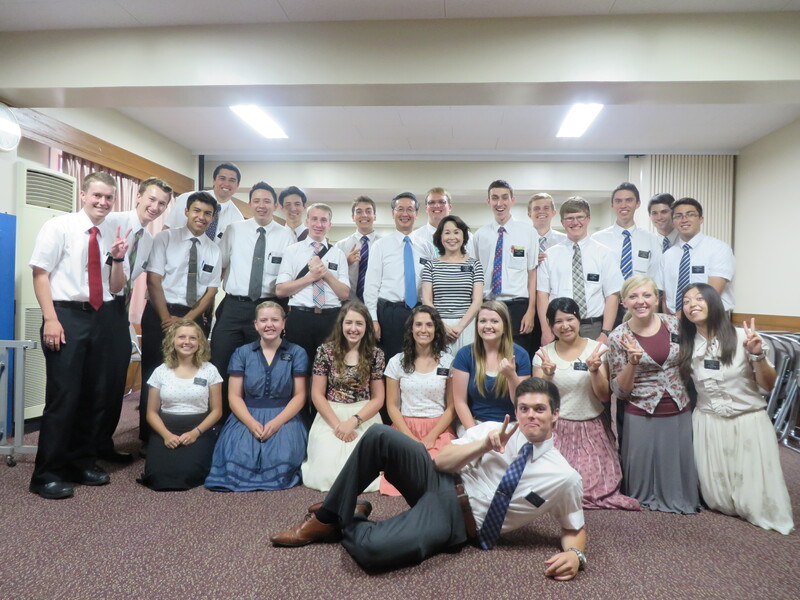 I think its a really good idea and from this the members will be able to do missionary work. This week we tried to call Watanabe shimai a few times but she wasn’t answering. Then on Friday she answered and told us that we were the first ones she had talked on the phone with all week because she didn’t understand how to use her cell phone. When we went to her house on Saturday we practiced calling her and her calling us. I think that now she should be able to use her phone but just in case we are going to practice some more. She was able to talk to Ward shimai this week too so that made her really happy. Yesterday our plans for the day switched three different times in about 5 minutes. I know that they were meant to though because we had an awesome lesson with one of our Filipino investigators. She has such strong faith. We didn’t have an appointment with her but she let us talk together for three hours! She just told us story after story about how she prayed to God and he created a miracle in her life. It was truly amazing listening to her. I could feel the spirit and the truthfulness of her words. 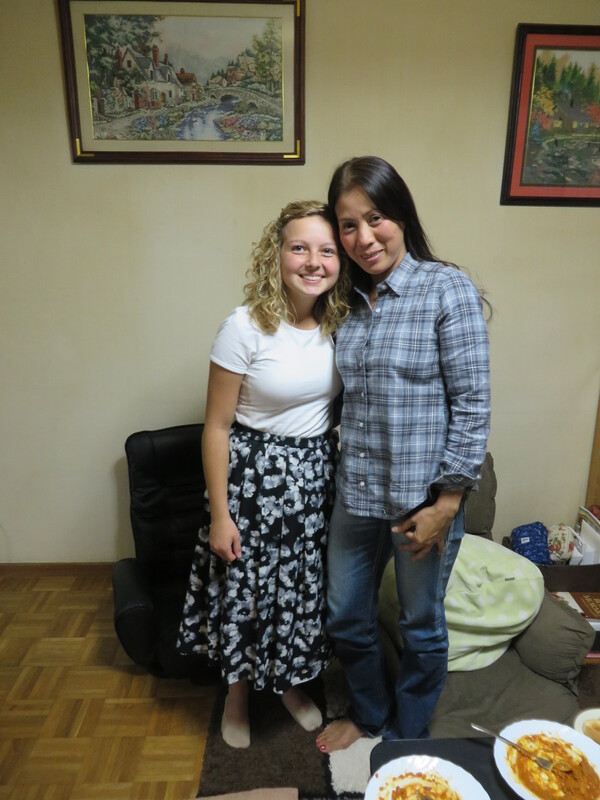 I loved hearing her stories because it strengthened my faith as well. This week we have been doing a lot of housing, we really want to find more investigators. We haven’t found any yet but I know that in Gods timing we will meet the people he has prepared for us. I’m reading the Book of Mormon for the third time, and started the New Testament today. 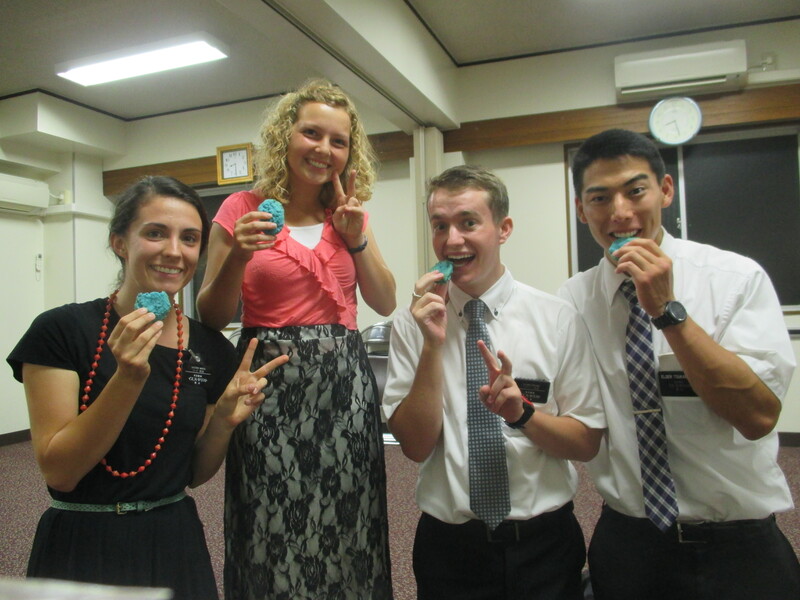 It was one of our investigators birthday so we decided to make her cupcakes and take them to her. I thought it was hard to transport cupcakes in a car but by bike is just interesting. We actually got them there without any problems. We did another companion exchange. 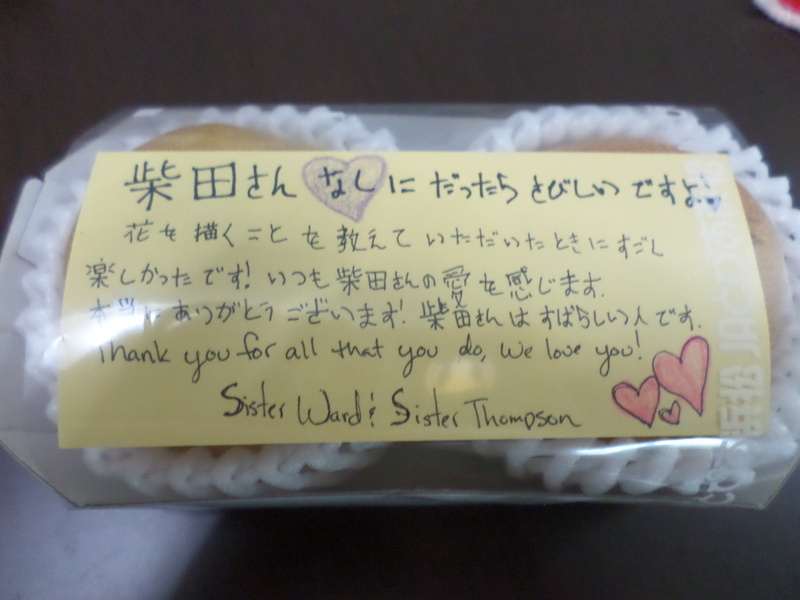 I stayed in Shizuoka with sister Fredrickson. We visited a lot of people who had been investigators when she was here. They were all super excited to see her again. We were running from appointment to appointment so that we could meet with everyone. When we got home we did planning and went to bed because we were tired. 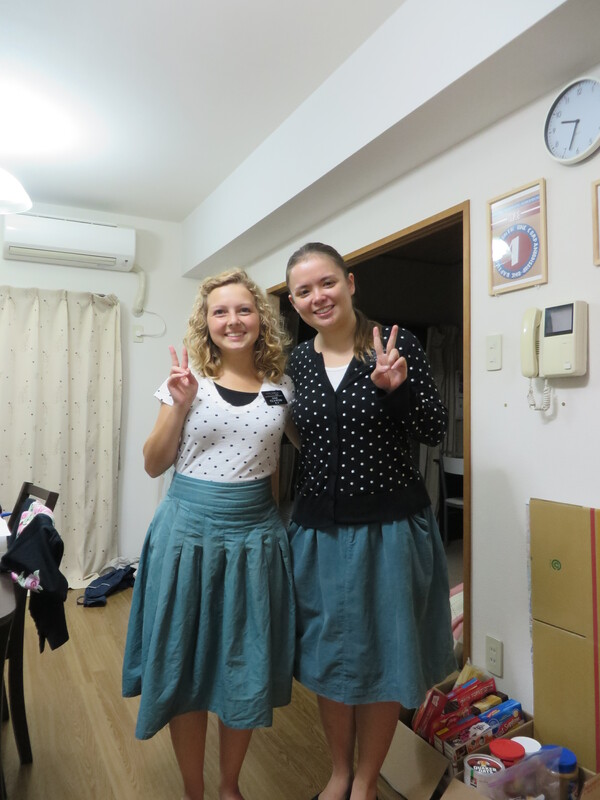 We switched back companions at Fukuroi on Wednesday morning. That morning I had decided that we needed to take our rain coats with us to the station because ward shimai and I wouldn’t be coming home till late and it might rain. So even though it didn’t look like it would I took the rain coats. Later when we were far from home, it started to rain and we felt blessed that we had the rain coats. It was just a little thing but it was definitely Heavenly Fathers guidance. On Thursday morning we went to help this family clean their house and move. Their situation is really sad. The mother is blind and is getting a divorce right now. She has 4 kids all under 13 and has to work to support them. So we went with some other sisters form the Relief Society and helped them clean. 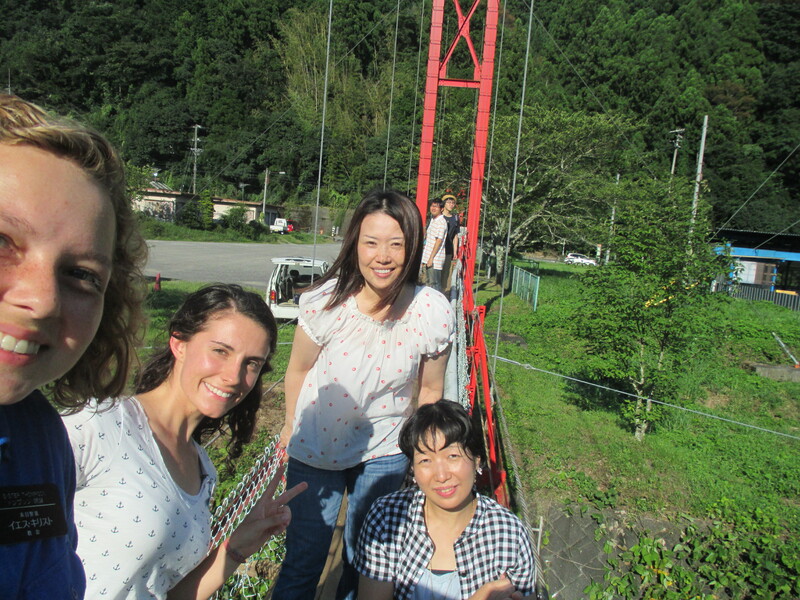 We had district meeting in Shizuoka again, it was really good. We tried visiting our investigator Jessica but she wasn’t home. We were able to meet with a member instead though. At kids English class we had 6 kids come! That has been the most that has come since I have been here. It has also been summer break so I think that is why not many kids had been able to come recently. We had dinner at a members house. She made Tacos for us, it was so good! She is really awesome and always makes American food for us. 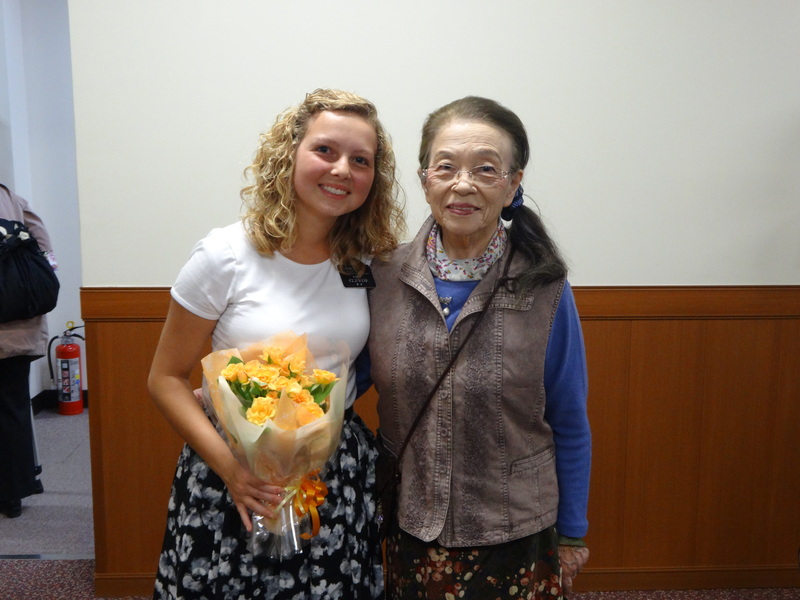 The Elder’s investigator Kita san was baptized on Sunday! After he was baptized he bore his testimony. He has a very strong testimony. I couldn’t understand most of what he said but I could feel the spirit from him. Two scriptures I have been thinking about this week are 1 Nephi 10:19 and Jacob 4:7. “For he that diligently seeketh shall find; and the mysteries of God shall be unfolded unto them, by the power of the Holy Ghost, as well in these times as in times of old, and as well in times of old as in times to come; wherefore, the course of the Lord is one eternal round”. “Nevertheless, the Lord God showeth us our weakness that we may know that it is by his grace, and his great condescensions uno the children of men, that we have power to do these things”. Today for p-day we are having a district activity making pizza and playing games and probably going to take puri kura. They will send me a paper when I have six months left and that is when I fill it out and tell them. The new mission president will come in like June or July. We find out on Saturday if we transfer and transfer on Tuesday. 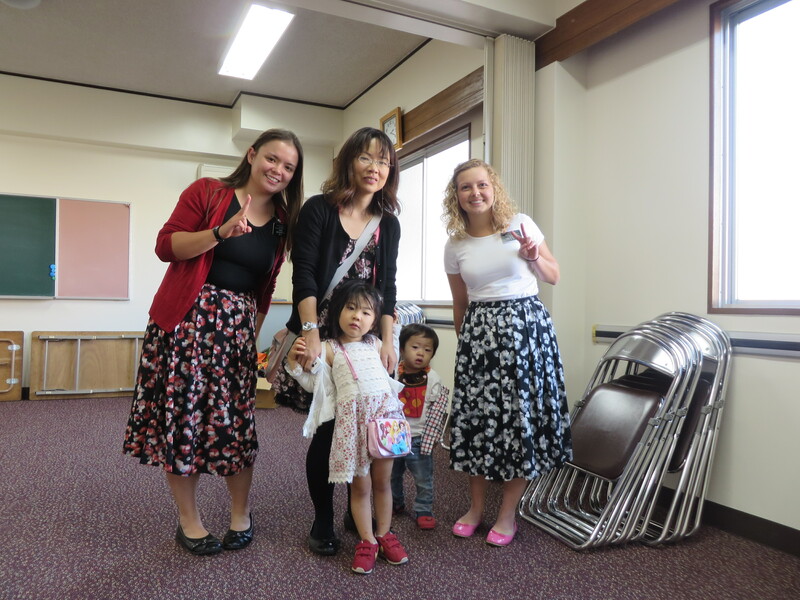 I did at kita san’s baptism 🙂 we found out the day before and prepared a song really quick! I played Did you think to pray with Ward Shimai on piano. 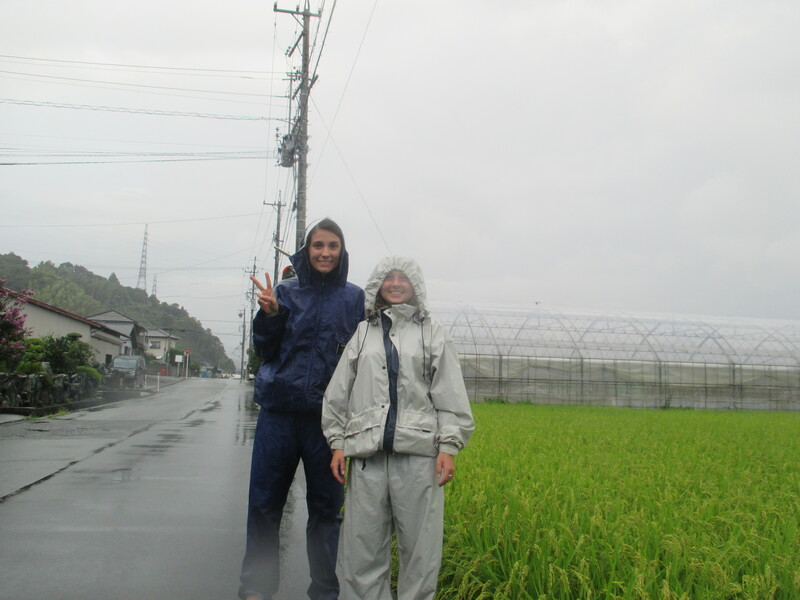 Ward Shimai and Aubree in rainsuits. Aubree is in a spare they have at their apartment, way to big for her haha. A few weeks ago this random guy told Ward shimai and I if we went to the top floor of this really tall building next to the park that you could see the city really cool. So we decided to go there. When we got in the building we weren’t sure where to go so we just went to the first elevator that we found. The only problem was that it needed a swipe card to open. Then the door opened and this guy came out and asked if we were lost. The building was half for the public and half for police, and we were at the police elevators. 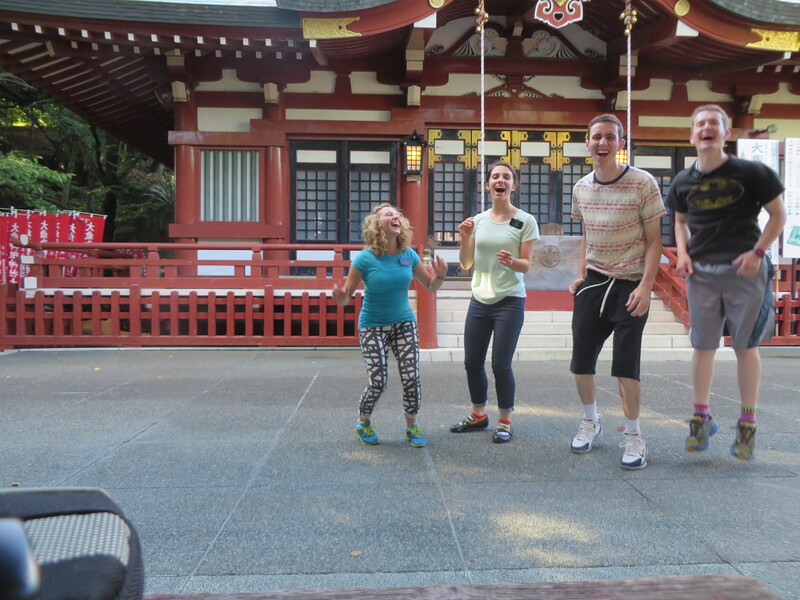 It was really funny because we couldn’t read the signs. The view from the top was so pretty. 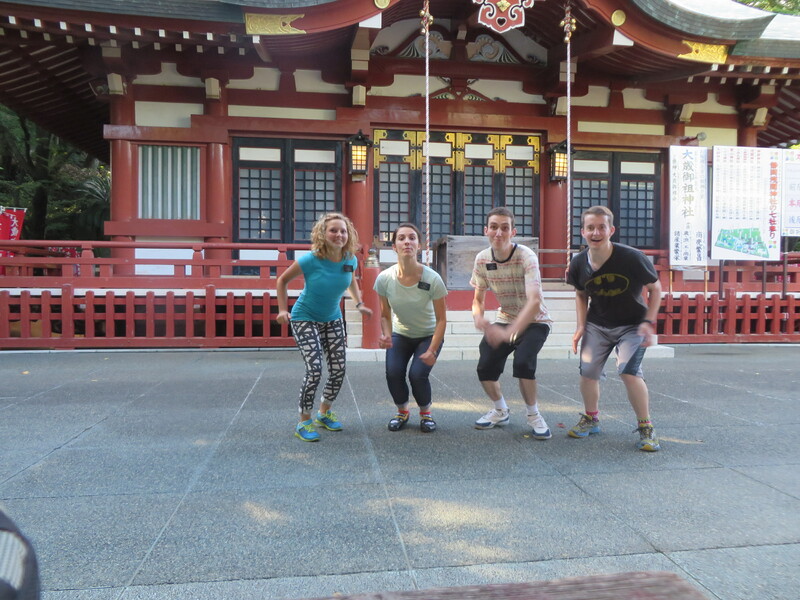 We taught our investigators the Tomita fufu this day. We had planned to do the first half of the plan of salvation really simply with them but they asked a lot of hard questions. They agreed to hear the lessons to help us with our Japanese, so they decided that in order to help us they needed to ask lots of questions. It went really well 🙂 That night we had a dinner appointment. They had actually forgotten about it and so the wife’s mother was there. She isn’t a member and we were able to teach her a simple lesson about the spirit. 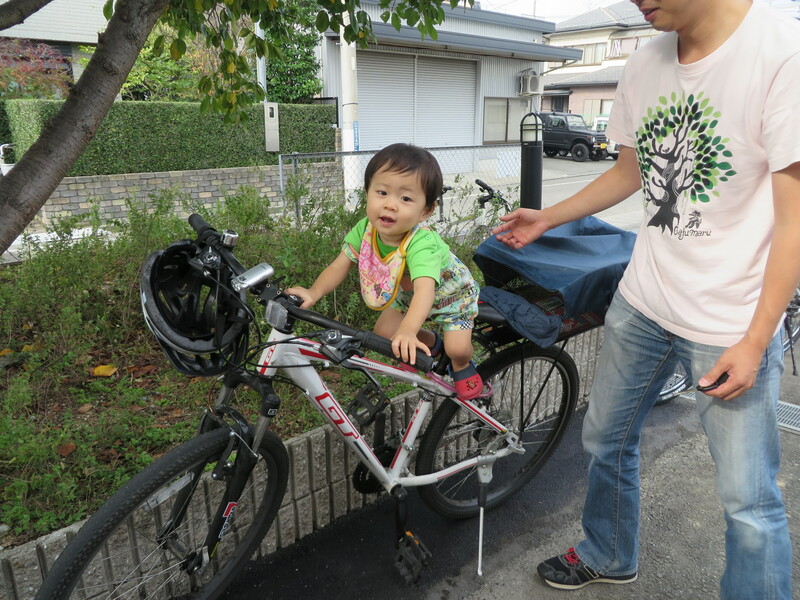 She doesn’t live in Shizuoka though so we won’t be able to teach her again. 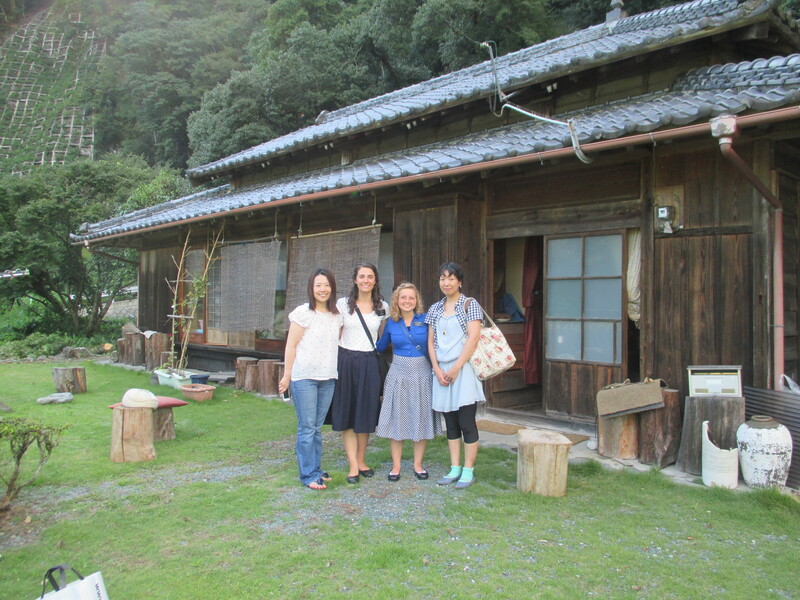 We went to this family’s house who lives way way in the mountains. One of the members drove us there, it would take about 2 hours on bike. It was so pretty there. 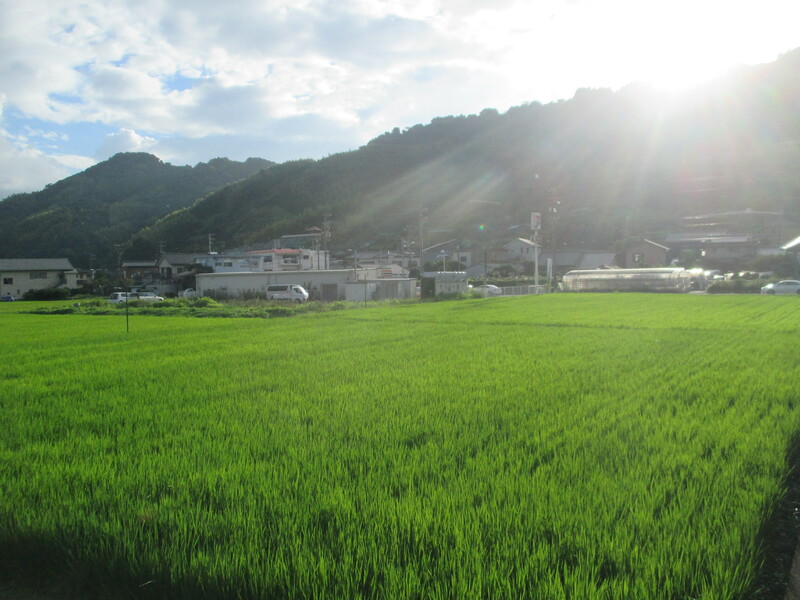 I love the way Japanese mountains look, they are so green, and from a distance they look blue and purple. In this family, there is one girl who is really sick. She is about 30 years old and she used to be a completely normal person. 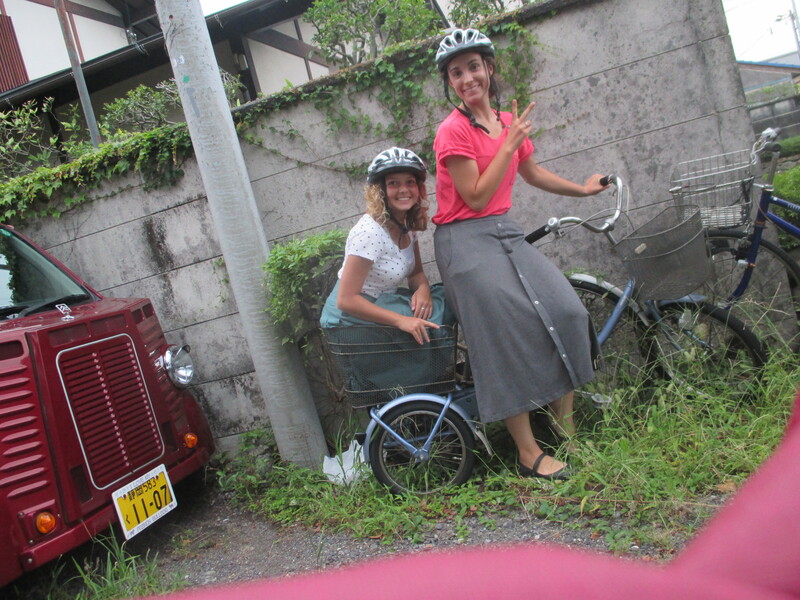 She would bike to church every week and do every day activities. Doctors don’t know what happened but she can’t do anything anymore. She has to have attention at all times. Its really hard on their family. Her parents are really awesome people. After that the church member who drove us took us to sushi for dinner. Her and sister Ward made me try nato finally. 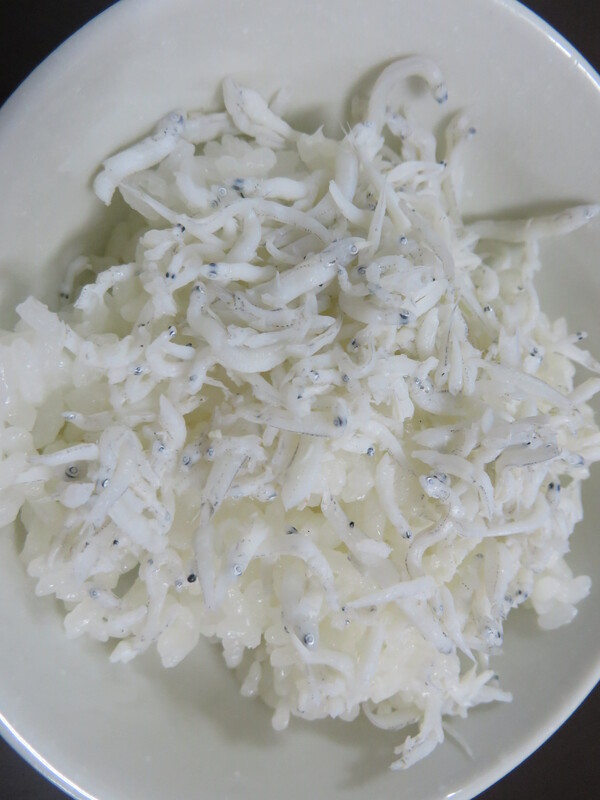 It was really gross. We had an awesome lesson with our investigator Shibata san. 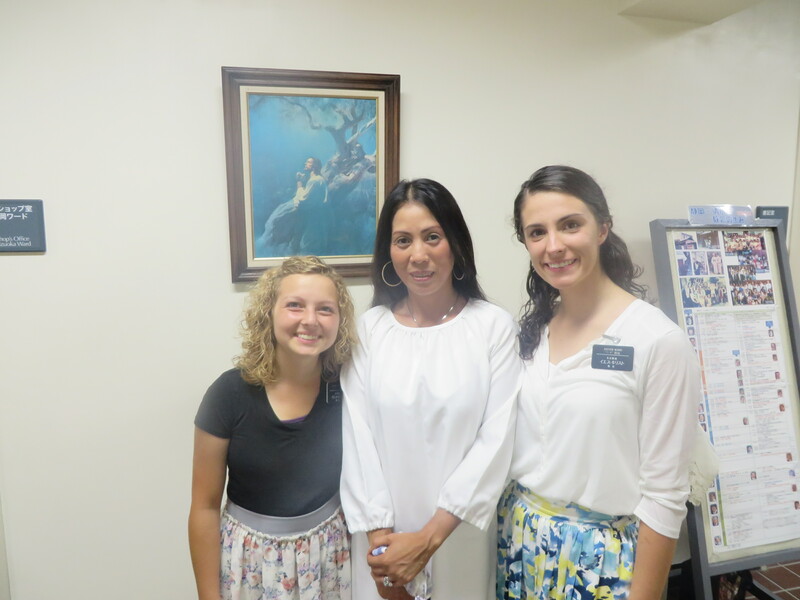 We talked to her about finding answers in the Book of Mormon. I think that she really understood it. She is going out of town this week and won’t be back for two weeks. After we had kids English class it started to rain super hard. We decided that we would just write records for 30 minutes and then go out even if it was raining. We figured that it would at least slow down a little bit. When it was time to go out it was drizzling a little so we put on our rain coats. We prayed again before we left the apartment and when we went outside it had stopped! It was really a blessing, after the rain it was a really cool temperature too! 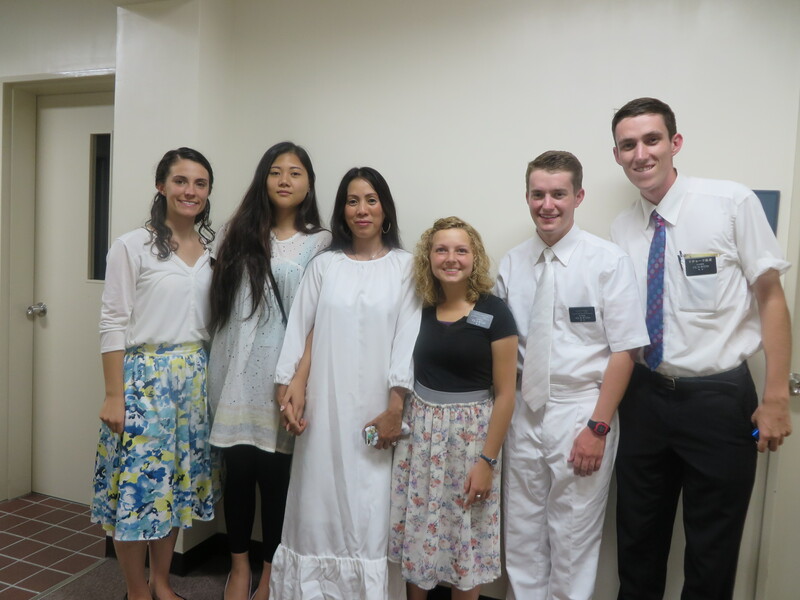 We got a referral from the Elders to go visit this Filipino women named Jessica. 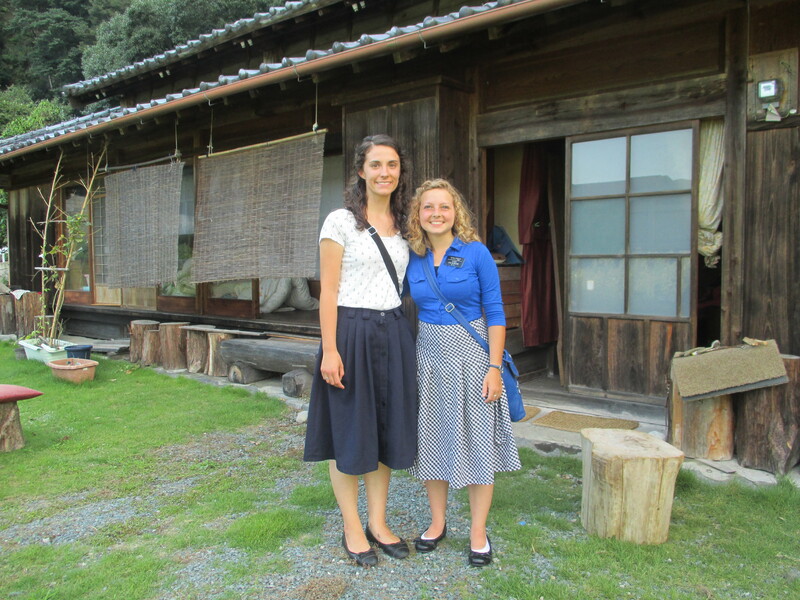 The Elders had been teaching her but it would be easier for us because we don’t have to have a member to visit her. She is so amazing. She has such strong faith in God and Jesus Christ. She told us so many stories of miracles happening in her life. I am so excited to keep talking with her. She is just so awesome. 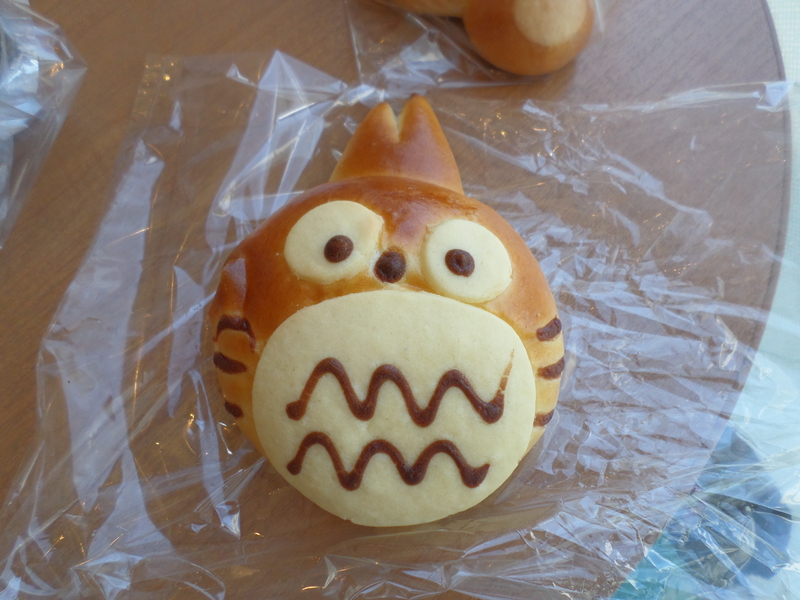 Cute totoro shaped bread. 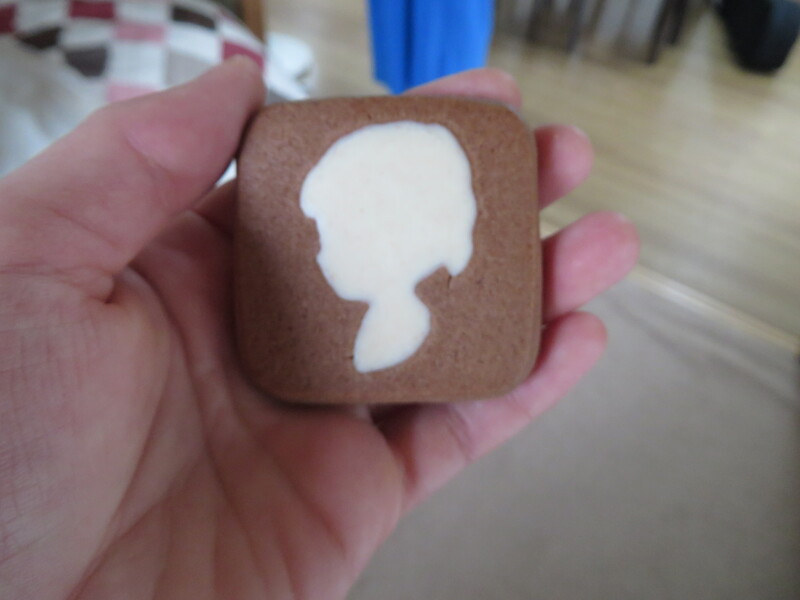 It’s filled with custard. Ward Shimai and I at tamago to watashi. 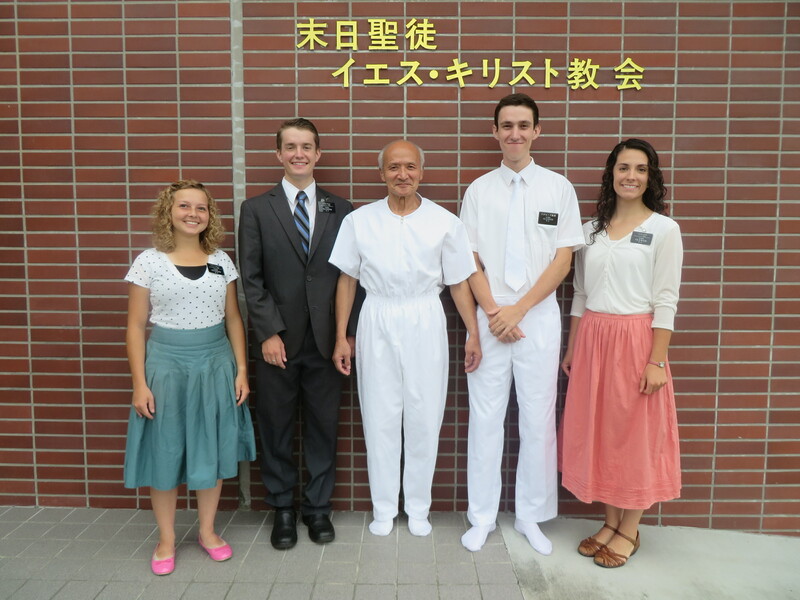 Aubree, Ward Shimai, and the Elders. 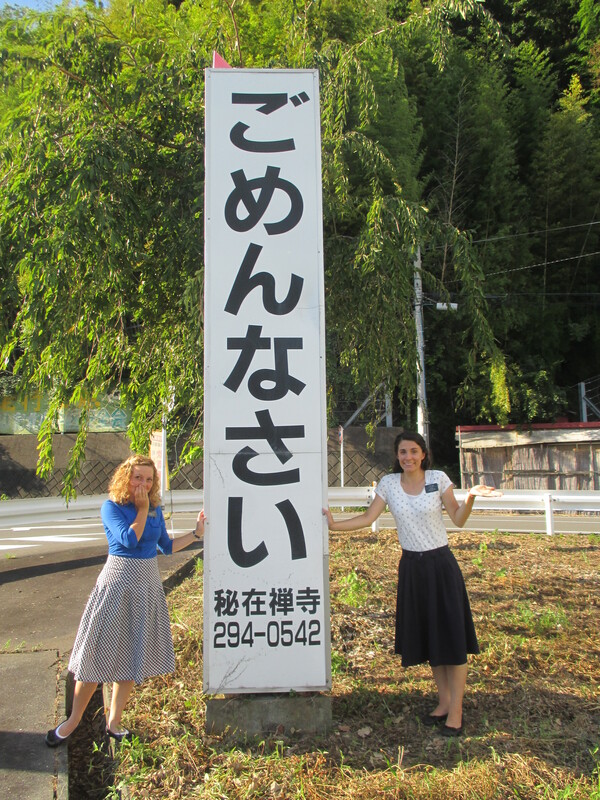 Aubree and Ward Shamai in front of the Omura`s house. This cool bridge that we saw. Monday: For P day we watched a bunch of videos with the Elders on LDS.org. Actually we watched videos for 4 hours. It was really fun to watch a bunch of the Mormon Messages, they were all really good. We also tried to visit our investigator Stephanie but she wasn’t home, so we just gave her son a birthday present. Wednesday: We went on a companion exchange! I stayed in Shizuoka with Fredrickson Shimai. 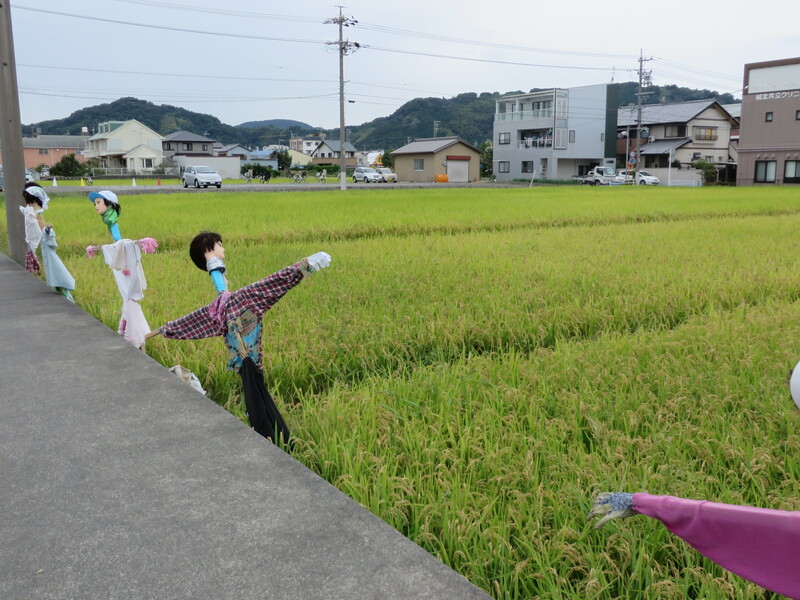 We visited a lot of people who live in Shimizu, about 6km from Shizuoka. 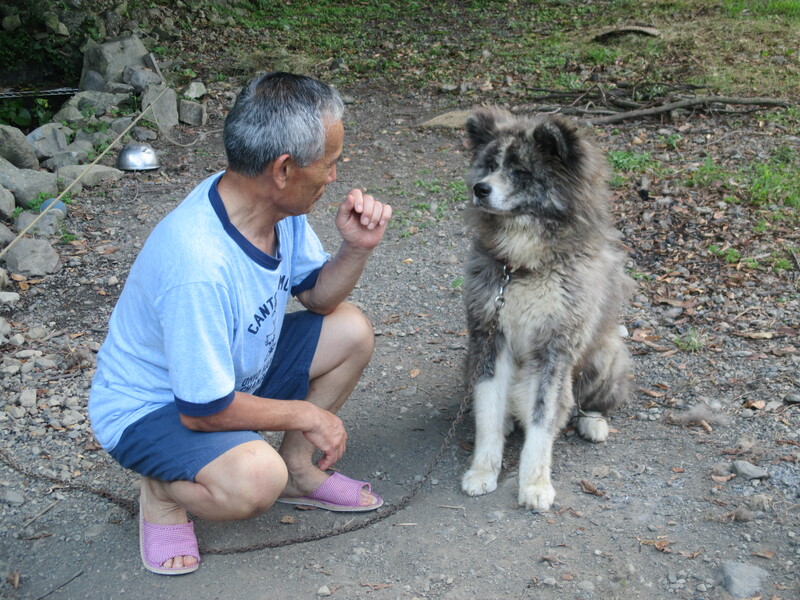 Fredrickson Shimai had been in Shizuoka before so we visited a few people who she had taught before but stopped hearing the lessons. We hope that they will hear them again. Thursday: Baptism! Marilou got baptized and it was so amazing! It was kind of funny because they baptized her once and they both got out of the font and then it was decided that it wasn’t right and it needed done again. So she was baptized twice. She was so happy after, she was just glowing with joy. I felt so happy for her! It has been so amazing how the gospel really changes people . There were so many people at her baptism, about 40! We were so surprised because it was on a Thursday. 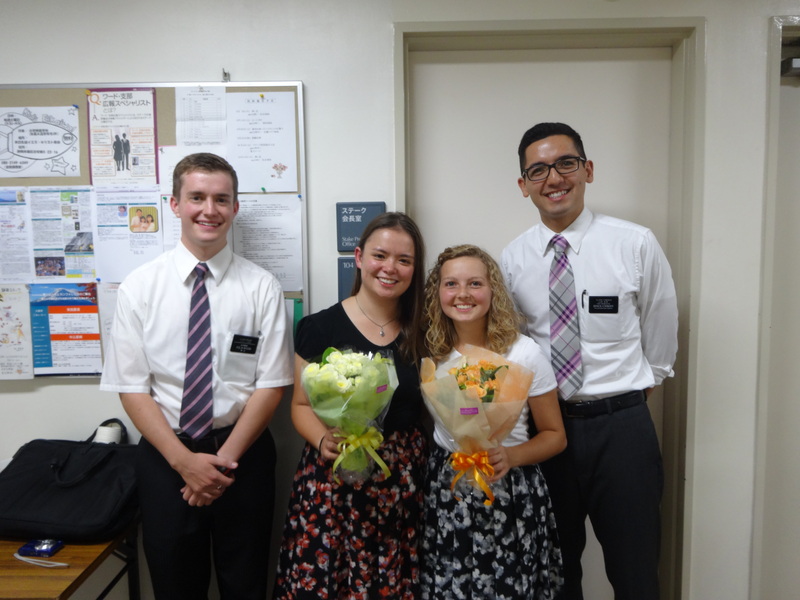 The ward already loves her, she was given so many flowers haha We gave her a CTR ring and a picture of the temple with a card signed from us and the Elders. Her daughter was also able to come and we were able to talk with her. Hopefully she will become an investigator. Friday: We went to district meeting and it was so good. The APs came and taught about OYM and about how to talk to people on the streets about the gospel. We got a lot of good ideas from it. We also got a new investigator this day! She has investigated the church before but it has been a while since she last heard the lessons. She is super nice and speaks English too. Saturday: We visited Watanabe shimai and brought her some more pocari sweat. While we were there a member showed up and gave her a bunch of juice and things like that! It was so nice and just amazing to see the ward taking care of her. When we were leaving her house I pulled my bike out and realized that my back tire was completely flat. We were about 6km from home. The same thing happened to the Elders, in the same apartment complex, last week and they had to walk home for three hours. We had kids english class scheduled in about 40 minutes from when this happened so we called the Elders and had them go for us. It was really funny because watanabe shimai thought we were there still because our bikes got wet from the rain or something so she started throwing paper towels at us. Her apartment is on the second floor so I tried yelling to her what was wrong but I didn’t really know the words and I didn’t understand what she was saying either. Ward shimai was on the phone at the time but was able to help me know how to say it haha It was really funny. 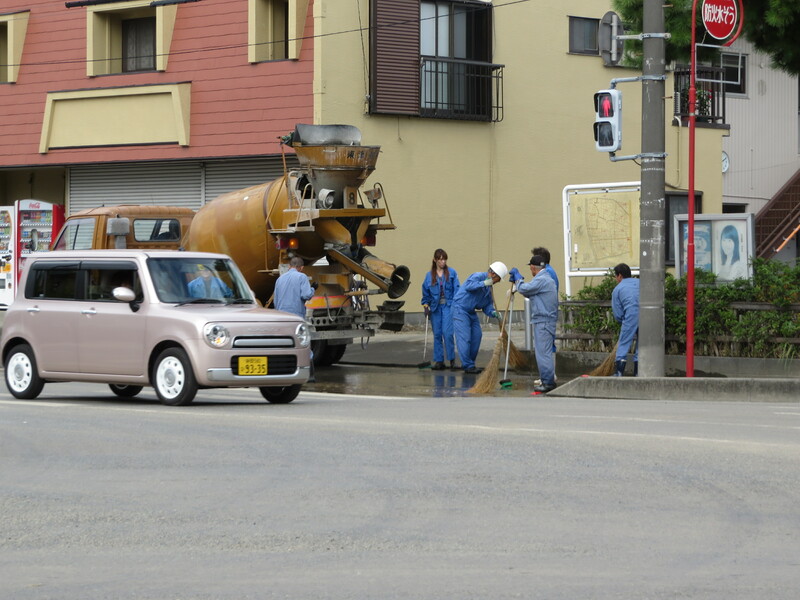 Watanabe shimai asked one of her neighbors where a close bike shop was and it was only about 15 minutes away. We got it fixed really quick and were able to get to all our appointments. 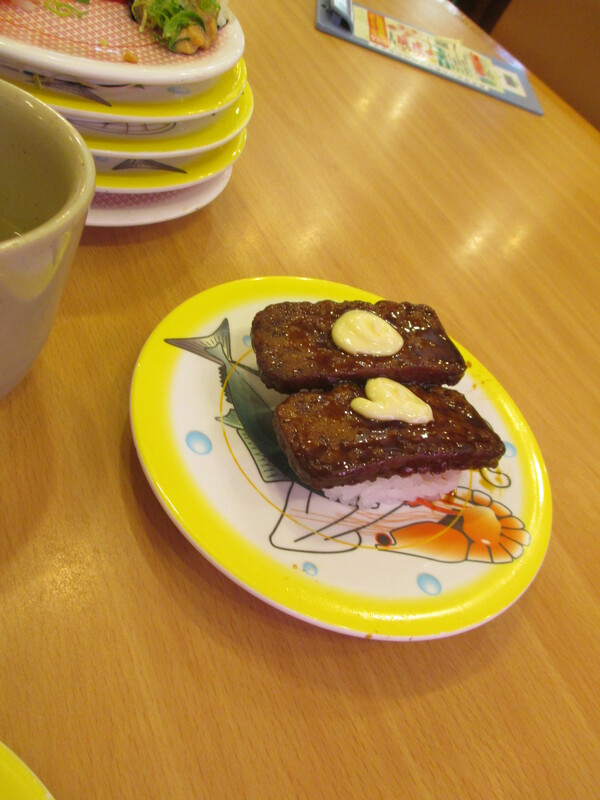 We also went to this BBQ that the Tomita fufu had. They are college professors and so at this party it was a bunch of teachers and their favorite students. They all were really smart and all spoke English. 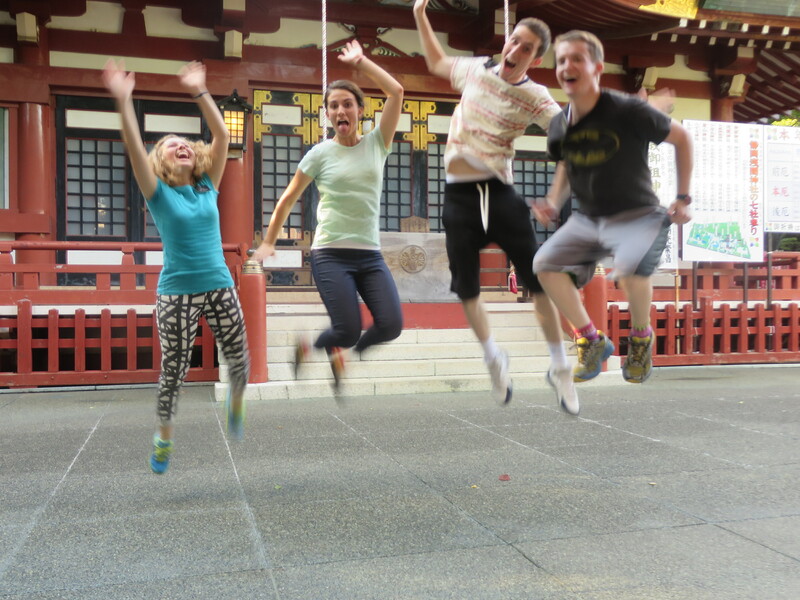 It was really cool because they all asked us why we were in Japan and we were able to tell them about the church. 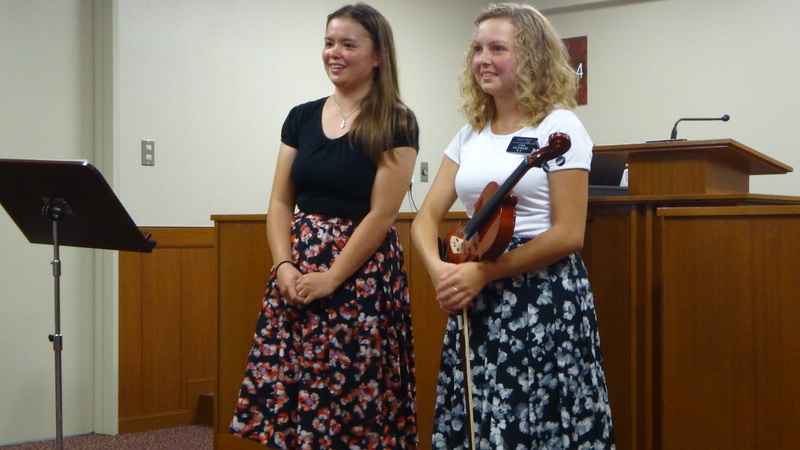 Sunday: Marilou and Ward shimai both gave talks in sacrament meeting. During Marilou’s talk you could feel the spirit so much! 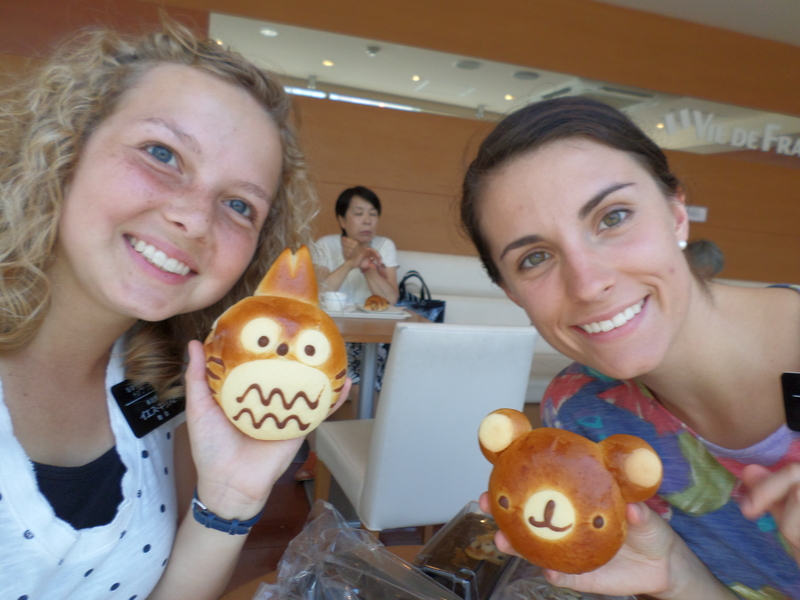 She was a little nervous and got mixed up on her Japanese a little but it was great! 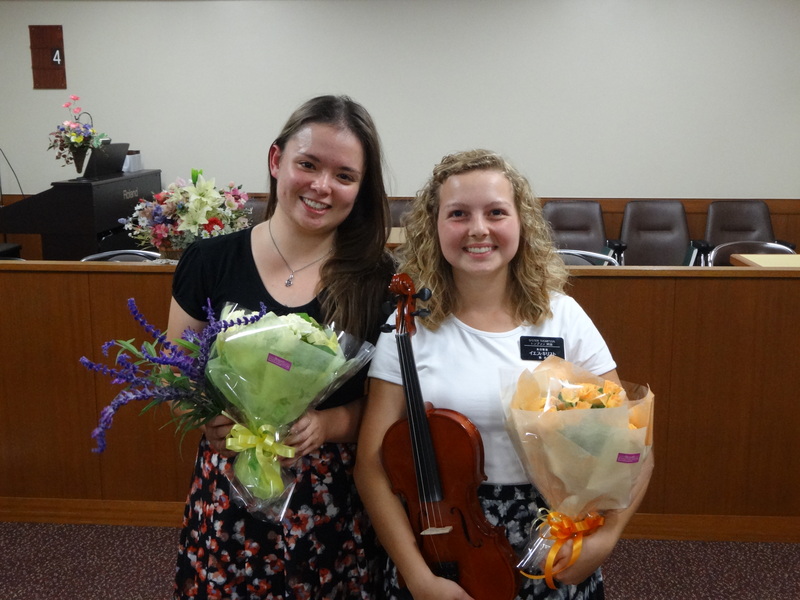 It was super cool to be able to hear here testimony like that. 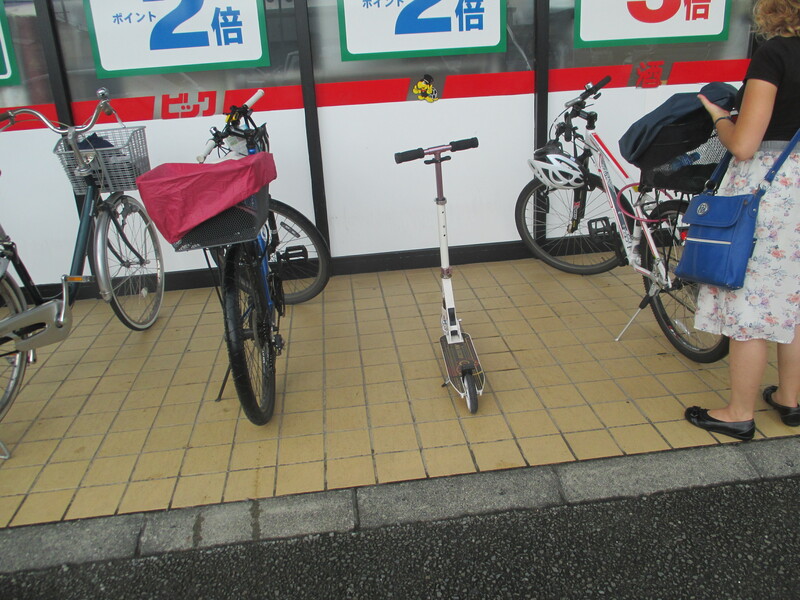 A picture of our bikes with a scooter parked next to them. We got new futons from the mission home! When we had apartment inspections they took our old futons and sent new ones. They are so nice and it feels awesome to sleep on. Monday afternoon we got ice cream with one of the members. We also visited some potential investigators and we counted one as an investigator but we had to drop her a few days latter. She was super nice though. We made a really cute flower pot for our investigator. 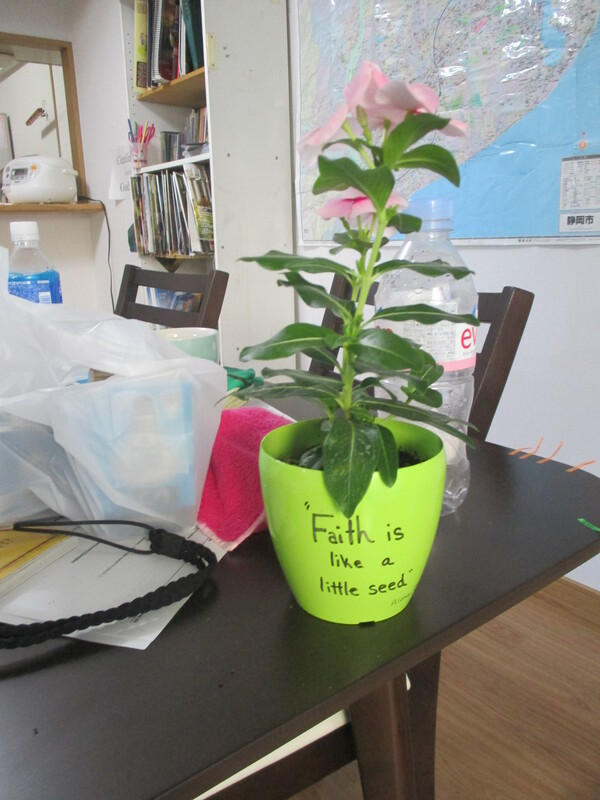 We wrote “Faith is like a little seed” and planted pink flowers in it. Pot that we painted for investigators. We had zone training and President Yamashita came. It was really good. We learned about how sometimes investigators will know the words coming out of our mouths but will have no idea what we are talking about. They did an example by showing one person a picture of someone we all knew. Then that person had to describe only what they could see and we didn’t know who they were talking about, but it was president Yamashita. So they talked about ways we can help them to understand. Aubree and Ward Shimai at Zone Conference. We have been visiting this less active every week for months and she hasn’t come to church in about 10 years or so. 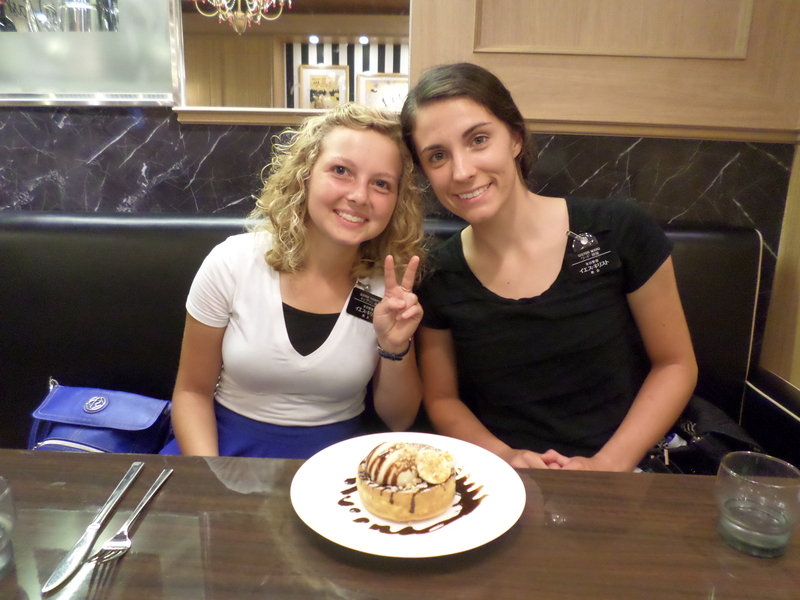 Two weeks ago we challenged her to read the whole Book of Mormon. We told her that we could read together when we visit and it would make it easier. 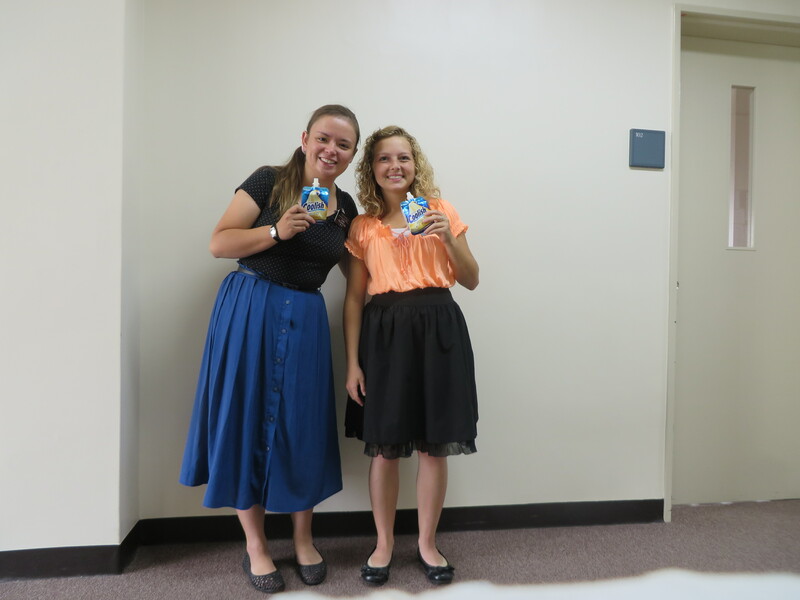 So we read 1 Nephi chapter 2 together. When we asked her what we thought about it she told us about how she thinks she needs to come back to church, that she wants to. It was so cool to see the power that the Book of Mormon has. This chapter didn’t talk about going to church specifically but was able to touch her heart and lead her to that conclusion. We had had lessons about coming to church but until she read this, she hadn’t wanted to come. That night we also went and visited Wantanabe shimai. She is really old and summer is hard on her body so we bought a liter of this sports drink and took it to her. We biked 8km to get to her house but it was so worth it to be able to help her. 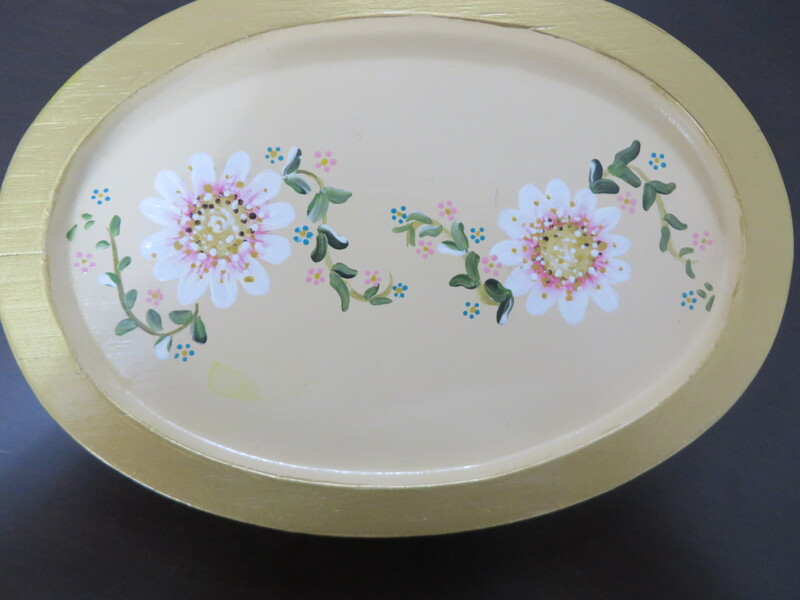 Last week our investigator shibata taught us how to paint daisies. So we wanted to thank her is a cute way. A Japanese pear is called Nashi, and there is a grammar principal Nashi ni and it means without. 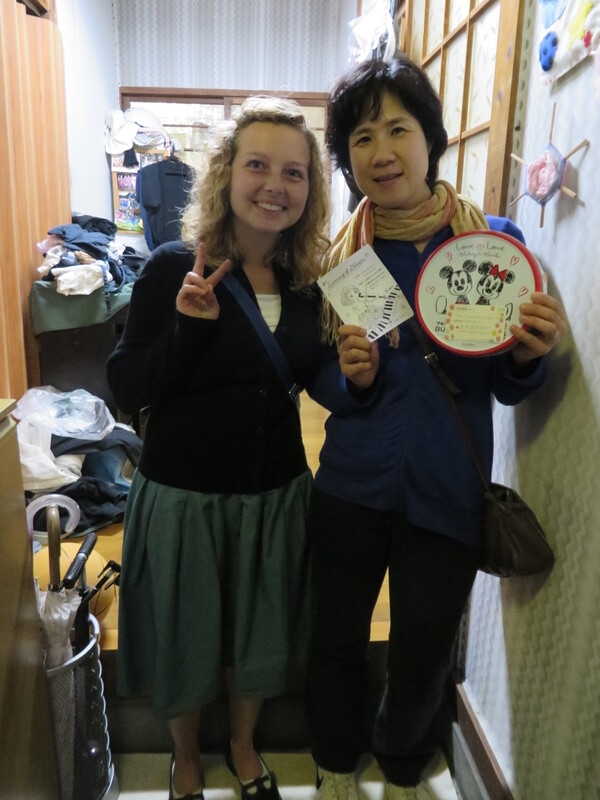 So we bought some Nashi and wrote that If we were without her we would be sad and thanked her for teaching us. She lives really far away so we were able to take a train there. Then we went to Shizuoka College. 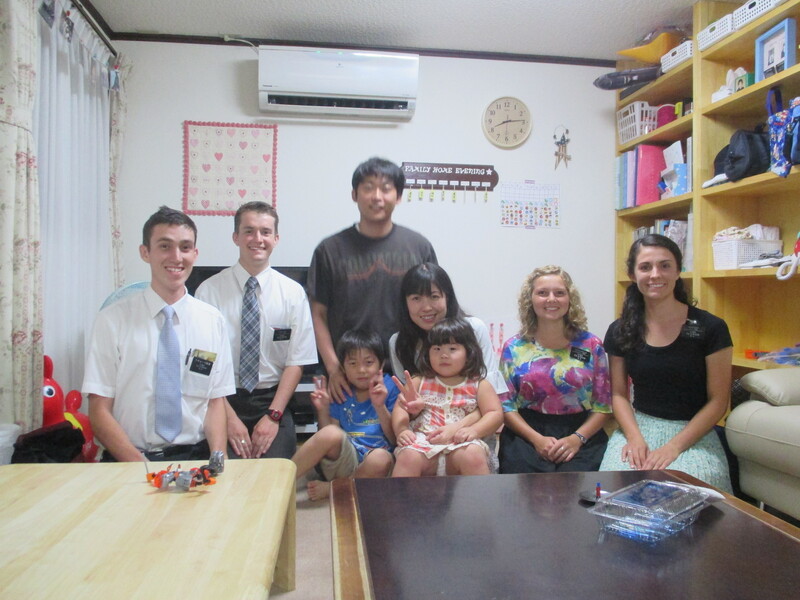 The Elders had given us a referral of someone who lives over there. We tried to visit her but she wasn’t home, we think this week is a lot of tests so most college students are probably busy. We had Marilou’s baptism interview this day! 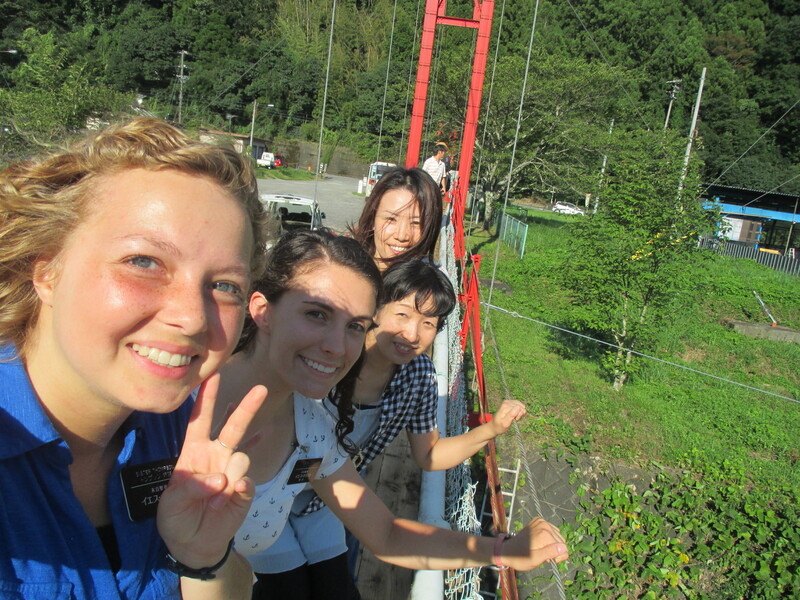 Our district leader came from Fujieda to do it and it all went well. She is so awesome! 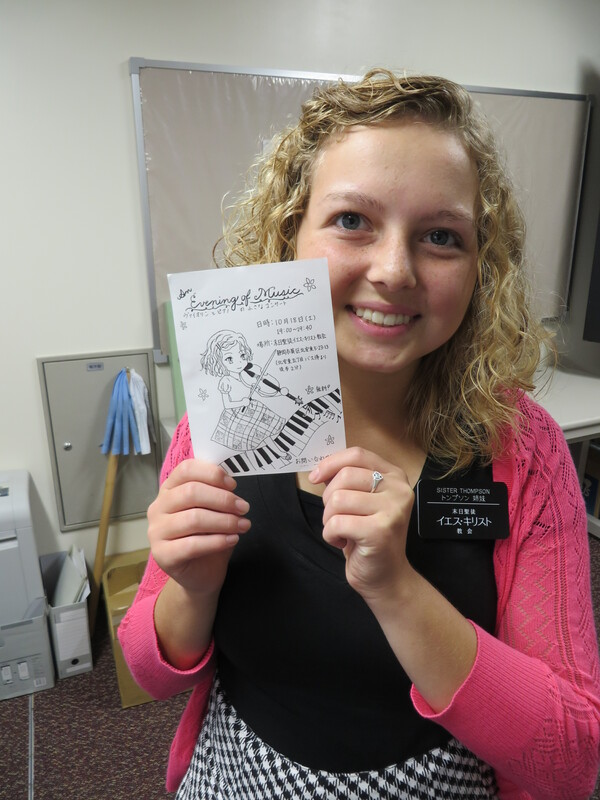 She will be baptized on Thursday by Elder Brown. We were suppsed to meet with Wantanabe shimai again but she wasn’t feeling well so we had to come up with a backup plan. We decided to visit our 12 year old investigator. We hadn’t been able to meet with her this week because she had gotten home too late that night. 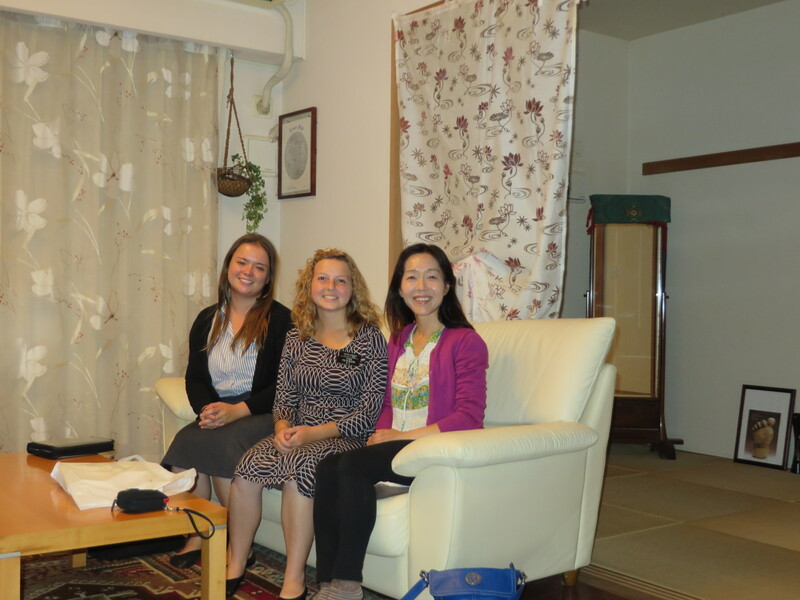 We were able to share a scripture with her and her mom, who is a member, and it turned out really good. 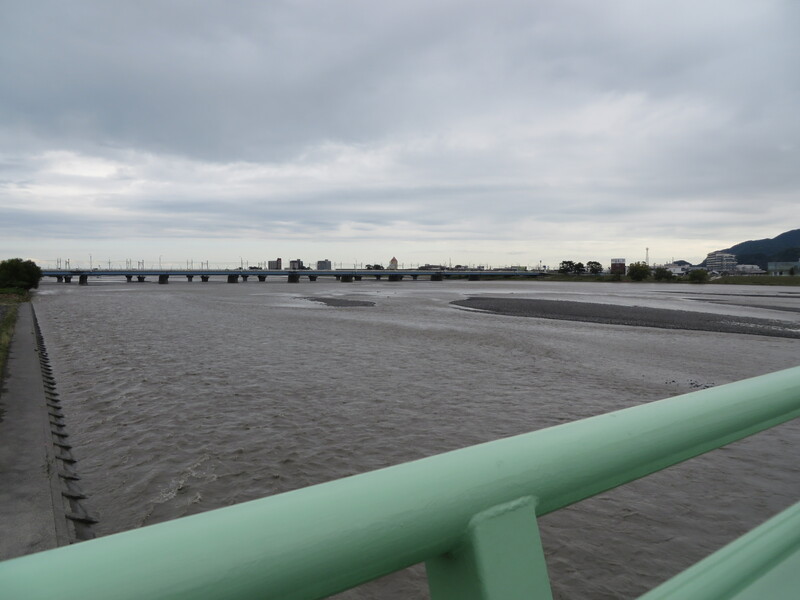 It was pretty rainy this day, we had the typhoon but it didn’t go directly though Shizuoka. We had a good day at church. One of the Elders investigators is in his 70’s and he bought a cell phone just so he could talk to the elders haha. It is his first one! He was taking pictures of a lot of things and thought it was super cool haha. I’ll tell you all about the baptism next week! This week was really good, we had another typhoon but nothing really happened again, it just rained. I’m not sure what we are doing today, probably going to go eat somewhere with the elders. Also you should watch the new Mormon Message, its called the Hope of God’s Light. We watched it at zone training and it was really amazing.